The telecommunications industry is one of the most performance demanding environments. IT infrastructures within carriers, as well as the global networks themselves, are challenged to serve today’s data requirements. The plethora of mobile devices and their ubiquitous use have reset the expectations of consumers. Many times, a single mobile device suffices for professional and personal use. Carriers are required to provide applications for self-provisioning, billing and payments, customer inquiries and much more. Customer satisfaction and retention are paramount in this competitive landscape. The widespread use and popularity of Short Messaging Services (SMS) have opened the doors for cost-effective communications and services for mobile consumers. 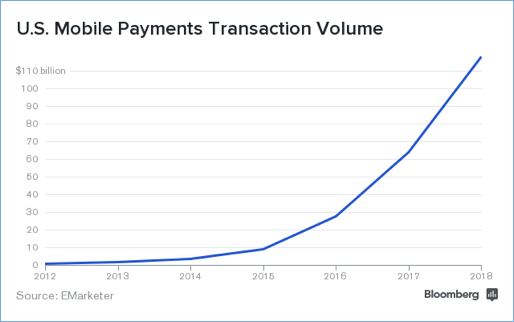 The growth of mobile payments will continue over the coming years. This widely accepted international method of payments is slowly but surely catching on in the US. M2 Systems ENGIN© technology is used by one of the largest payment processors to facilitate their Apple Pay™ services. Other digital payment solutions like Google Wallet and Android Pay can be easily provisioned using ENGIN. As the popularity of these Near Field Communication (NFC) technologies increases, your business is positioned to take advantage of these solutions and add new customers and capabilities. M2 understands communications, payments and security. So look to the leader in integration solutions for your next telecommunications project. With the recent announcement of IntegraAIR, M2 Systems now has a solution for the Internet of Things (IoT). Smart hubs, smart devices and any “unstructured” data can be easily and cost-effectively managed and integrated into your enterprise allowing expansion of acquisition and distribution channels. When you think “non-traditional” endpoints and devices, you need IntegraAIR. M2 Systems has helped our telecommunications clients by making sure the data needed to enrich the customer experience is available quickly and efficiently. A fragmented infrastructure of disparate legacy applications can now work in harmony with your web and mobile enabled solutions. ENGIN is the backbone on which data content is delivered. M2’s unique routing and compounding capabilities make sure systems and applications within your enterprise are synchronized and in-service. For a large international telecommunications provider, ENGIN provides the conduit and interfaces to support PSTN, ISDN and GSM communications via GSM-SMS. Work order input and status, and files exchanged for a comprehensive Service Order Entry and Management system, are managed using M2 technology.